First and foremost, I would like to address my sincere appreciation to #teammalaysia and organizers of “Create Contents & Earn Crypto Currency”, especially to super-friendly-heros @bitrocker2020, @davidke20, @aaronleang for organizing on such a meaningful event! ...which enable me to meet up with my dearest steemit buddy – @vamos-amigo for very first time. Taken a ride with @vamos-amigo towards Prangin Mall took about 45 minutes. But humorous and sincere @vamos-amigo made the journey extremely fun and interesting. When arrived at the destination, we went straight to the lecture hall and get ourselves registered. Eagle-eyed @vamos-amigo saw @davidke20, and quickly pulled me to introduce ourselves. That's how I met my Super-hero for very first time. There, @ davidke20 acted as ice-breaker. He jokes around, warm-hearted and extremely attractive personality turned around this first time meeting into more or less a re-union / gathering of old-friends. Of course, my humorous buddy @vamos-amigo acted as a catalyst too. When the sharing session begun. We concentrate and listened to @ bitrocker2020's analysis and sharing of what's, how's, where's, who's and why's on steemit. Without failing the audiences, brother @ bitrocker2020 explained profoundly in simple but meaningful way. I was highly impressed. After this meaningful sharing session, I will definitely encourage my spouse and kid to join the very next sharing session from @bitrocker2020 and / or @davidke20 soon. 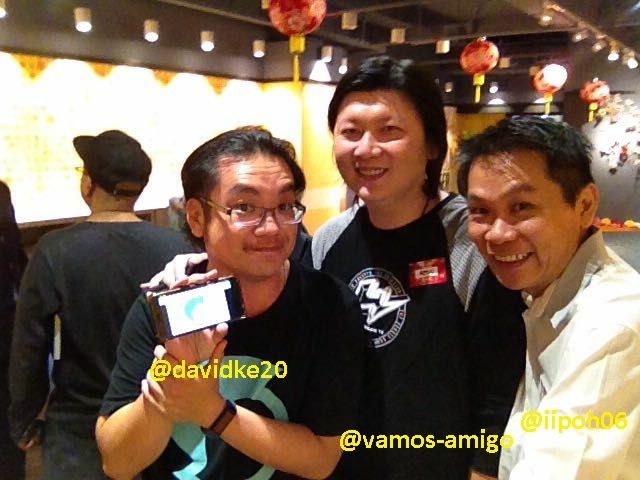 If not because of steemit, meeting all the super-friendly-heros such as @bitrocker2020, @davidke20, @vamos-amigo, @aronleang (with more than 30 million population in Malaysia)..is almost a mission-impossible. For this reason, I am feeling blessed and will definitely appreciate it! Thanks Steemit! Thanks my dear heros....!!! You got an upvote from Sndbox-Alpha! Please help us find more great contents about Meet Up and Philanthropy. Click here for more information. If you like what we are doing and want to contribute in rewarding authors who spread the Steemit love through Philanthropy & Meet Up, we encourage you to follow the @sndbox-alpha trail on Steemauto.com. This is awesome! Any chance to have similar event held in Kuching?